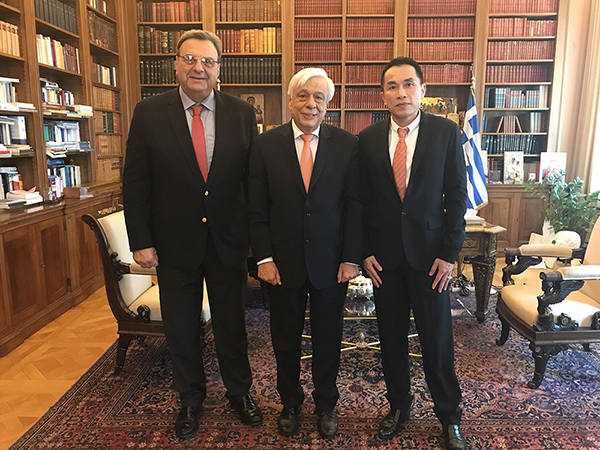 Yesterday, the grand sponsor of the International Olympic Academy, Mr Gordon Tang and the IOA President, Mr Isidoros Kouvelos visited the President of the Hellenic Republic, Mr. Prokopios Pavlopoulos. Mr Tang, a well established businessman who operates in Singapore, China and the USA, is a well-known philhellene who expressed his wish to invest not only in the IOA but also in Greece and its sport sector. Gordon Tang, who has been honoured by the International Olympic Academy, was in Greece for the Opening Ceremony of the 58th International Session for Young Participants that took place on Sunday afternoon at Megaron Athens Concert Hall.